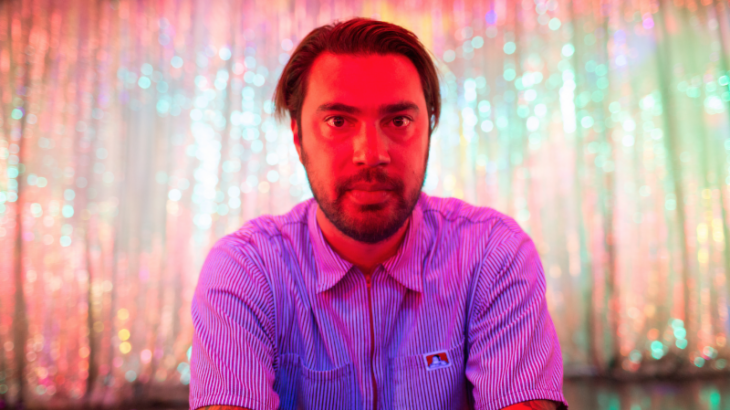 At a time where many artists are choosing to unload extensive hour-or-more-long albums with 18+ tracks, Hanni El Khatib has gone against the grain, peppering 2016 with three – and now four – mini records, making up the Savage Times series. Savage Times Vol. 4 is out today, and Howl & Echoes is thrilled to premiere the centrepiece of the three-track release, Black Constellation. Sultry, jazzy piano opens the track, before a stompy electric guitar takes the lead. The piano continues flirting with the guitar as the riff unfolds, sneaking chords into its nooks while the track settles into its groove. Vocals come in soon after, and from here on out we’re treated to a bluesy number which draws on familiar blues rhythms and melodies, filtered through a kind of rawness that makes his music so engaging. In his own words, Hanni explains how Black Constellation came to be: “I was having one of those days where I was just stuck and didn’t know what to write or record. I started to telling Jonny (owner of Jazzcats Studio) about a song I’ve been playing on the piano that I wrote when I was 12. I love the Savage Times series for the sheer musical diversity; from gristly punk to raunchy blues, to stripped-back folk and beyond, it’s like we’ve been served up a Hanni El Khatib tasting menu; a little bit of everything to enjoy. Savage Times Vol. 4 is out today – grab it here. Premieres Hanni El Khatib. permalink.